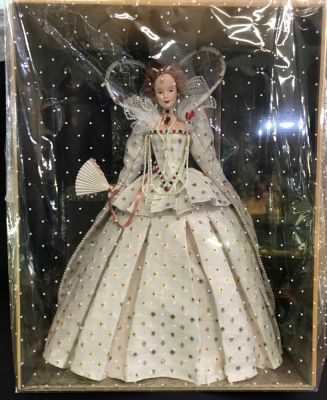 Queen Elizabeth l Barbie doll, B3425, release date of 2014. This is from Barbie/Mattel Gold Label from the Women of Royalty Collection. It is in the original packaging and has never been opened. 11 3/4” by 15”, 8” deep.